We all have those special people in our lives, the ones who give gifts we'll likely never use. There's the aunt who rarely strays from her traditional present of itchy sweaters and the grandma who thinks that one can never have enough wool socks. We plaster on a smile and write thank you cards, but cannot get to the store's return counter fast enough. Before you start your Black Friday and holiday shopping, check out return policies to find out which stores are willing to participate in the annual exchange. Keep in mind that Black Friday is 29 days before Christmas, leaving only one day for gift receivers to make returns at stores with 30-day return policies, and there may be special restrictions for items purchased on Black Friday itself, such as door busters. Policy: Most items shipped between November 1, 2010 and December 31, 2010 may be returned until January 31, 2011 for a full refund. This policy allows a longer period than the company's typical 30 days. Amazon will cover the return shipping cost only if a mistake was made by Amazon. Pros: The extended return policy during the holiday season means you won't have to rush to return gifts before you've even had a chance to take down the decorations. Cons: Some items, such as computers, have a limited return window. Other purchases, including some jewelry items, are not eligible for return at all. Policy: Both in-store and online purchases have a two week return window, with a receipt. Video games purchased online must be returned to GameStop within 30 days. Pros: Barnes & Noble will accept returns with a gift receipt through January. Cons: Some electronic downloads, such as Nook books, along with shipping charges, are nonrefundable. Policy: Items may be returned with a receipt within 30 days of purchase. Online buys receive merchandise credit when returned in stores. Pros: Straightforward, without a long list of exceptions. Cons: Purchases with gift receipts returned within 60 days are only given store credit. Policy: With a receipt, unworn items can be returned for a full refund within 30 days of purchase. Without a receipt, the shopper will receive store credit via mail for the lowest sale price of the item. If purchased online, buyers have 45 days to return the item. Online returns are granted refunds up to 45 days from the time of purchase. Cons: Online returns cost $6 per order for shipping. Policy: Most items have a 90-day return window with an original receipt. Some purchases, such as Gasoline-powered equipment may be returned within 30 days of purchase with a valid sales receipt. Merchandise credit will be given for returns without a receipt. Pros: Home Depot offers four ways to prepare returns including, calling, shipping, store returns and using the original return form that comes with the store's deliveries. Cons: Return shipping is at the buyer's expense. Policy: Almost all in-store purchases may be returned for up to 90 days after the original buy with a receipt and valid ID for a refund. Mattresses may only be exchanged for another mattress. The same policy applies for online purchases. Pros: Ikea's mattress policy of "love it or exchange it" allows customers a full 90 days to decide if the new mattress is a good fit. Cons: Shipping prices are nonrefundable. Policy: Returns with original receipts are accepted within 90 days of purchase. Returns without receipts receive a store gift card with a validy photo ID, but the amount will reflect the lowest sale price in the last 30 days. Items returned within 90 days with a gift receipt with receive store credit. Pros: The store accepts returns after the 90 day limit in the form of store credit. Cons: There is a long list of exceptions that includes items such as fine jewelry and electronics, which have a 60-day return period. Furniture purchases are final after delivered and accepted. Policy: According to kmart.com, most purchases can be returned up to 90 days after the original purchase. Some items, including jewelry and gas powered equipment have shorter return periods. Pros: Price adjustments will be given on already purchased items for up to seven days. Cons: According to last year's policy, customers are required to pay for return shipping if the product is not damaged or defective. Policy: There is no time limit on return for purchases with a receipt. Without a receipt, if Kohl's can look up and credit customers who paid with a credit card. Shoppers who paid cash and have no receipt will receive cash credit based on the current price of the item. Online purchases may also be returned in stores. Pros: No time limit on returns and flexible if customers lose the receipt. Cons: Items purchased with Kohl's Cash may have lowered in price. 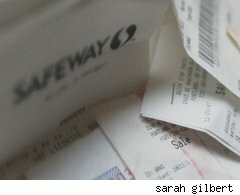 Policy: With a receipt, most items can be returned within 90 days of purchase. Exceptions include items such as outdoor power equipment, which must be returned within 30 days. With the consumer's ID, returns without a receipt will be given store credit. Pros: Long, 90-day return period. Cons: Only a seven day return period for Major Appliance Manufacturer Defect. Policy: Macy's did not return WalletPop's requests for an updated return policy, but according to the company's posted policy, shoppers may return most items up to 180 days after purchasing. And last year, the same rule applied to in-store returns. Pros: According to Macy's website, in the case of an exchange, the shipping cost of the new item will be waived. Cons: The long list of shorter return windows on a variety of items such as jewelry and rugs is confusing. Gift returns only receive store credit. Policy: Full refunds are given with a receipt up to 60 days after purchase. Customers returning or exchanging without a receipt or with a receipt older than 60 days will be issued a merchandise return card for the most recent sale amount with a valid ID. Pros: Petsmart has a very straightforward return policy with few exceptions. Cons: The few exceptions include items such as grooming supplies and electronic grooming and fencing products. Policy: Sears also did not provide an updated return policy, despite numerous attempts, but according to Sears.com, many items can be returned with either a receipt or an e-mail confirmation within 90 days of the original purchase. Items such as home electronics and air conditioners have shorter return windows, so check with the individual departments. Pros: Last year's policy stated that online items can be returned in stores. Cons: Customers may pay a 15% restocking fee for some items such as home electronics returned without the original box, and mattresses. Policy: Returns with a receipt are accepted for a full refund within a 90 day window of the original purchase. Without a receipt, shoppers can only return a total of $70 worth of merchandise in a 12 month period. Some electronics are subject to a 15% restocking fee. Pros: After surpassing the $70 limit, customers can exchange items within the same merchandise department. And if you're purchases are made with a credit card, no receipt is needed, as an associate can look up the transaction. Cons: Holiday and seasonal merchandise on clearance at the time of return will be refunded at the current clearance price. Policy: Most items, purchased both in store and online, can be returned up to 90 days after the original date of purchase. The return window shrinks to 45 days for some items, including electronics and computer software. Shipping prices are not refunded unless an item is returned because it is damaged or defective. Returns with gift receipts will be given as store credit. Pros: Rewards R Us users don't need to worry about receipts because their purchases are tracked in the stores' computer system. Cons: The rather long list of items that do not fall under the 90-day return policy can get confusing. Policy: With a receipt, most items can be returned for up to 90 days after the original purchase. Normally, computer parts and accessories must be returned within 45 days, digital cameras and camcorders have a 30-day return window and computers only have a 15 day return period. However, for the holiday season, Walmart is making exceptions: items purchased between Nov. 15 and Dec. 25, will begin the regular the limited return period on Dec. 26. This includes items such as TVs, cameras, computers, DVD and music players. Pros: Walmart grants cash back for items under $25 without a receipt and store credit or an exchange for those over $25. Policy: Shoppers may return any purchase up to 365 days after the original buy. Cons: None. Zappos receives the best return policy award.